Oct. 31 (NBD) – Nearly 40 percent of China's employees in the game industry earn an average of over 10,000 yuan (1435.8 U.S. dollars) per month, shows a recent report on salaries of China's game industry employees released by Perfect World Education and Gamma Data (CNG). According to the salary report, employees earning 4,000 yuan (574.3 U.S. dollars) or below per month account for 12.3 percent of the whole population in the game industry; those with monthly pay of 10,001 to 15,000 yuan (1436.0 to 2153.7 U.S. dollars) take up the largest proportion of 18.7 percent; and only 5.5 percent employees obtain over 20,000 yuan (2871.7 U.S. dollars) per month. Gaps in salaries exist among different regions. The salary report reveals in September this year, Shanghai and Beijing were the top two in terms of monthly salaries of game industry employees, followed by Hangzhou, Shenzhen, Suzhou, and Guangzhou where monthly salaries of the industry also exceed 10,000 yuan. It's noticeable that Hangzhou surpassed Shenzhen, ranking third in China. 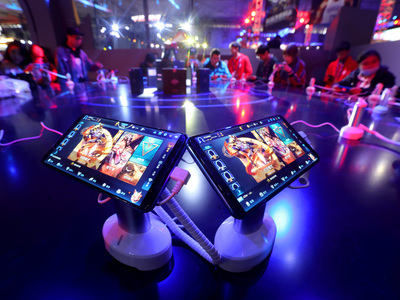 However, in other cities such as Xiamen and Wuhan, employees in the game sector did not earn as much as expected. Gaps in salaries also exist among different positions. In the amine game industry, salaries of game developers are much higher than those of designers, planners, and operators. It is unexpected that even though game companies are striving for overseas promotion, game operators for foreign markets are not at an advantage in pay. The salary report also indicates salaries in the sector are related to educational backgrounds. Currently monthly salaries of employees with master's degrees or above exceed 14,000 yuan (2010.2 U.S. dollars); those with bachelor's degrees earn nearly 12,000 yuan (1723.0 U.S. dollars) per month; and those with third-year college diplomas obtain an average of nearly 10,000 yuan per month. Gaps among employees with different educational backgrounds will become increasingly obvious in the future. High as salaries in the sector are, it is still hard for game firms to recruit the right employees. A report on recruitment requirements released by Perfect World Education and CNG points out there is strong imbalance between supply and demand of talents in the game industry. As of the end of June this year, the number of employees in need in the industry has totaled 428,000 with game developers, operators, and designers occupying the major proportion. However, the fact that university graduates do not meet the requirements is one of the most serious problems facing game companies, commented an insider. According to the salary report, the problems of game-related education in higher education institutions lie in weak academic and technical foundation as well as irrational curriculum setting. Moreover, institutions of higher learning couldn't respond to industrial demand at once due to rapid changes in the game industry. Chen Wei, Vice President of School of Continuing Education of Shanghai Business School, made similar comments at ChinaJoy this year. There are no teachers as current teachers neither play games nor understand e-sports, and meanwhile, it takes time to build a curriculum system but the game sector develops so fast that curriculums could soon be behind the times. As the salary report suggests, the solution to these problems is to have enterprises work together with higher education institutions to cultivate professional talents.